The Hamilton County Economic Development Corporation redefined its mission in 2018 and is now focused on talent and workforce attraction and retention for current and potential businesses in this thriving central Indiana area. 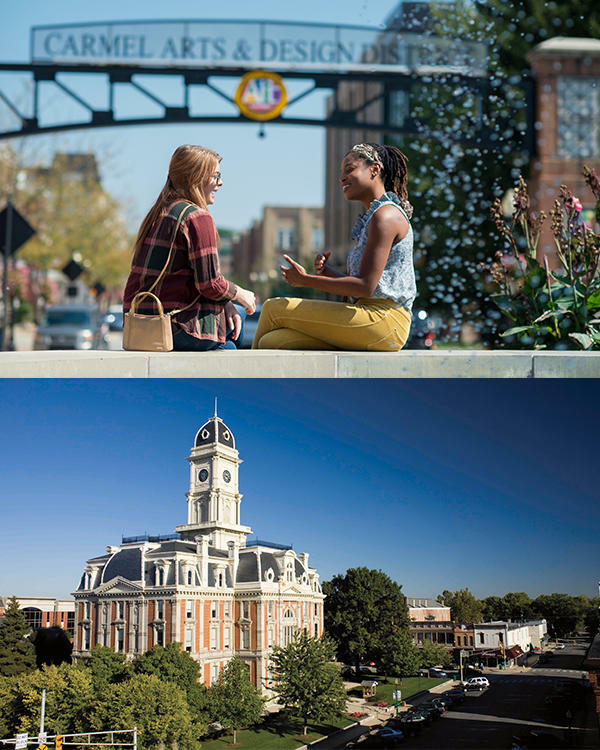 We provide resources, connectivity, collaboration and opportunity for people interested in living and working in Hamilton County, Indiana. Hamilton County, a great place to live, work and learn, is strategically located in the Indianapolis metropolitan area. Close to downtown Indianapolis and the award-winning Indianapolis International Airport, Hamilton County is listed as one of the fastest growing counties in the country and has earned its national designation as a Best Place to Live and Raise a Family. Home to four midsized cities and vibrant communities that include award-winning schools and workforce training opportunities, the county offers Midwest affordability, low tax rates, safe, walkable downtowns that include thriving arts communities, dining, entertainment and shopping with easy commute times and abundant parking. The county also includes options for lakeside living or properties in the open country. Central Indiana enjoys four seasons living for a variety of outdoor sports and recreation all year round. A short drive takes you to Indianapolis, the 16th largest city in the country and the state capitol. Home of the world-famous Indianapolis 500, The Indianapolis Colts, the Indiana Pacers, minor league soccer and baseball, and host of numerous college and professional champions, in addition to unique museums and cultural venues. We invite you to explore our award-winning area and enjoy all that Hoosier Hospitality has to offer. Whittaker Associates Inc, the renowned market research and consulting firm, identifies key industries prevalent in Hamilton County, creating abundant opportunities for workforce skilled in these areas. With the cluster of similar companies from key industries also comes appropriate suppliers and experienced advisors. The region has access to award-winning public and private K-12 schools, in addition to higher education and workforce training opportunities located in-county and nearby. Four Hamilton County high schools listed in U.S.News compilation of the best public high schools in Indiana. Nineteen public and private schools, elementary through high school, designated National Blue-Ribbon Schools. Hamilton County Schools have a combined graduation rate of 92.3%, 11% higher than the national rate - Niche K-12 School and District Rankings. Sixteen public and private higher education institutions are within a 75-mile radius of Hamilton County, including Ivy Tech Community College, the state’s largest public post-secondary institution, with workforce development campus in Noblesville. Minutes from downtown Indianapolis, Hamilton County offers everything from small town charm to downtown living close to dining, shopping and entertainment plus outdoor experiences with four season fun. Come visit to find your ideal location to settle in for safe, affordable living. Central Indiana is known as the Crossroads of America, and as the fastest growing county in the state, Hamilton County is the ideal place to locate or expand a company. The country’s top-rated International airport and easily accessible interstates, plus a business-friendly tax climate, state and local incentives, an educated workforce and a low cost of living are some of the many reasons to explore the area. Hamilton County is a great place to live, work, learn. We are a comprehensive marketing organization focused on attracting and growing a talented workforce to Hamilton County. Our office works with economic development professionals, workforce readiness programs and the network of State universities to promote the skills training available for career-changers in the county. We also work with Hamilton County Tourism and leaders across the county to share the reasons why the county is an affordable, safe and fun place to live and work.